in August 2006, Dr. Maina was commissioned as the Pastor of the KICC Mission outpost, which became KICC San Jacinto. Here, she pastored until posted to KICC San Bernardino in January 2017. 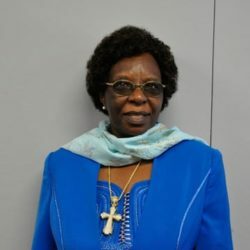 Dr. Ruth Maina is currently working as the second Bishop of KICC Regional. She oversees the spiritual affairs of KICC with the help of the Regional Council, and the Pastoral Team of KICC Pastors.